Are you looking for a tattoo that will never get out of the style and at the same time have a profound meaning? 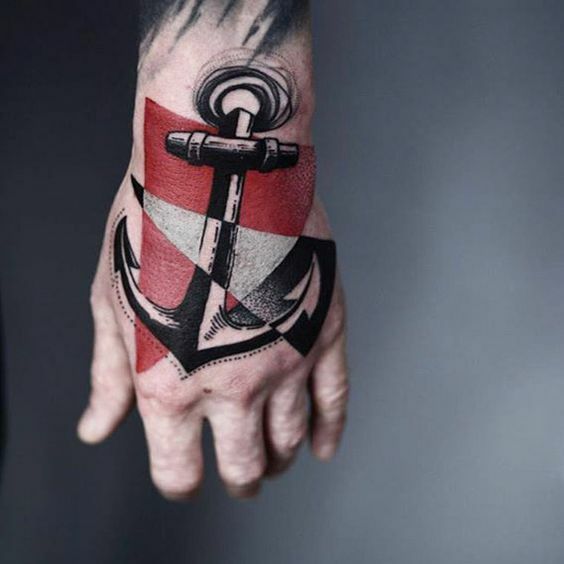 If yes, then an anchor tattoo might be one of the best options for you. If you’d need to describe a tattoo without words and with just one symbol, what it would be? Probably the anchor, because it is the most common tattoo design. Apart from the obvious relation to the sea and sailors, it also has many more meanings. Yes, it’s an ultimate symbol of sailors and those who work in the ocean. But did you know that it also symbolizes love? Anchors represent the strong bond in relationships. With this in mind, an anchor is perfect for couples or best friends. 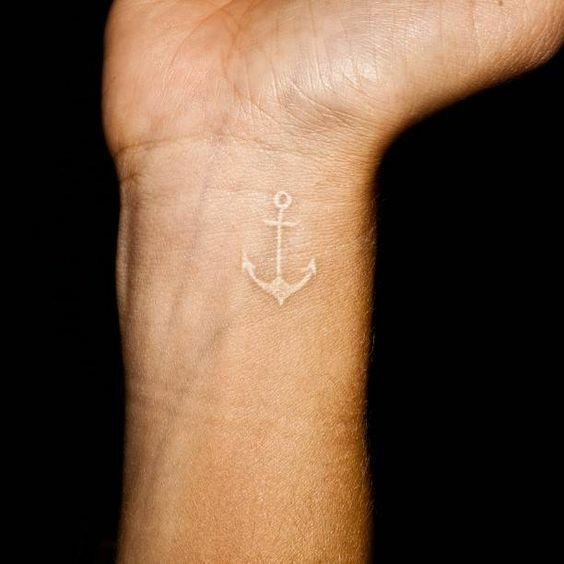 Anchor tattoos are beautiful, and they can be either tiny or large. They look good on almost anywhere on the body. Another great thing about them is that they look great on both men and women. So, if you are thinking of getting an anchor – we invite you to learn more about this design. And as always – we have gathered an inspiring collection of ideas, so stay with us for a while! Anchor Palm Tree Ankle Tattoo. Until around 1950’s, tattooing in Western countries was only popular among the sailors. Since every sailor’s trip could have been his last one, the primary purpose of a tattoo was to carry the good luck. Then, there was a need to record the places which the sailor has been to with marking it on the body. One of the most common symbols that were a sign of good luck among the sailors was an anchor. It not only showed that a person who has it was a sailor but also symbolized the safe returning to the home after a long trip. So, anchor tattoos represent good luck and safe return to home. Although it has become a fundamental sign of those who work in the ocean, these days it doesn’t matter. Another meaning of the anchor is firmness and stability because that is the primary function of this thing. It keeps the ship to stick to the bottom so that it does not drift. Thus, anchor tattoos represent the firmness of the character, beliefs or values. It reminds us that we also have to stand firm against any problem or conflict that may happen in our lives. The anchor also refers to tranquility and security, because it is the only object that connects the ship with the ground. Therefore, the sailors know that they are not alone, that the anchor is some kind of a passage between the sea and the land. So, if you are in search of inner peace and balance, an anchor is a perfect choice because it will remind you to stay calm. 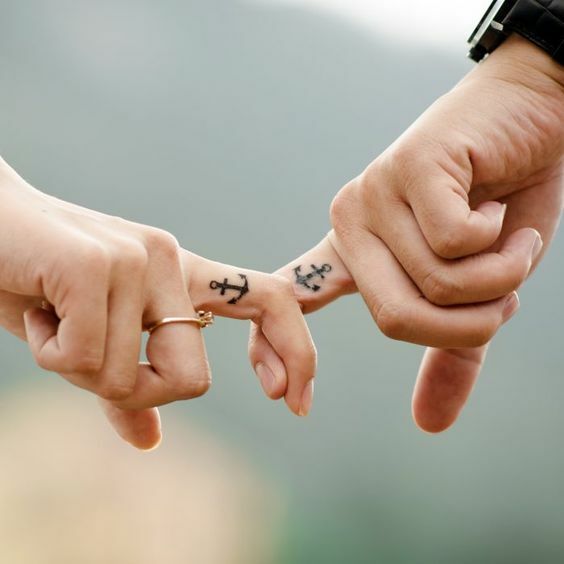 On the other hand, anchor tattoos can symbolize that you already are feeling well and calm. Maybe your friends and family surround you and support you every day. With this in mind, an anchor will always remind you of the best moments of your life. Now that we know the meaning of anchor let’s dig into the areas of the body where this design will fit the best. Usually, the anchor is a small design, and you can place it almost anywhere. However, arm, wrist, ankle, and chest are the most popular placements. For the girls – an anchor will look perfect with a small flower on the wrist or ankle. Also, matching anchor tattoos will mark the friendship between two best friends or sisters. There are many styles that you can choose for an anchor tattoo. But basically, there are two main types: old-school and minimalist. Old-school is a traditional way of tattooing which uses only classic colors and thick outlines. The minimalist style tattoos are small, usually consists of only black and grey colors. 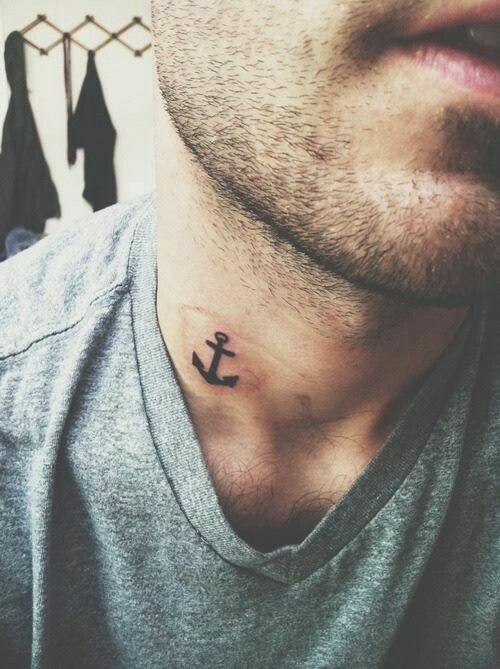 Nowadays, people mostly prefer minimal anchor tattoos as they are less visible and suitable for anyone. If this is going to be your first tattoo, we recommend you to get a smaller version of an anchor. But if you already have some tattoos, you can go with classic designs. Whichever type you’ll choose, remember to go to a professional tattooist. Otherwise, you may regret your decision. If you are considering getting an anchor on your skin, but you’re still not sure, take a look at these ideas. Also, show the ones you like the most with your tattooist. Make sure he or she is a professional artist who has a lot of experience and meets your taste. Nowadays, with the advanced equipment, a skillful tattoo artist can accomplish even the most sophisticated designs. And remember – be creative. If you don’t feel like getting a regular, plain tattoo – choose something more interesting.